Unfortunately, you definitely can’t hear the sound of air and moisture leaking out of your humidor, if you could that would be just too easy… This guide will walk through a couple different methods to first diagnose where the silent leak in your humidor is coming from and then secondly how to fix it. 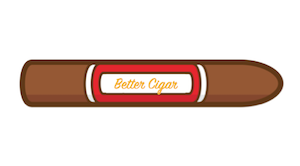 However, as you may learn, sometimes it may just be best to buy a new cigar storage device. 1 Why Do Humidors Leaks Happen? Why Do Humidors Leaks Happen? A leak in a humidor can come out of the blue or happen straight out of the box. If you’ve followed our guide on how to season your humidor and you still aren’t achieving optimal conditions in terms of temperature and humidity, then you may have a leak. However, if you’ve been able to hold around 70 degrees and 70% humidity for some time until recently, you aren’t the only one. Glass top cigar humidors tend to be most frequently the culprit. When the seasons change, it can impact the seal around the glass. I personally had a glass top humidor start leaking at the start of winter after a year of solid performance. Regardless if your humidor is new or old, here are two ways to diagnose where the leak is located. 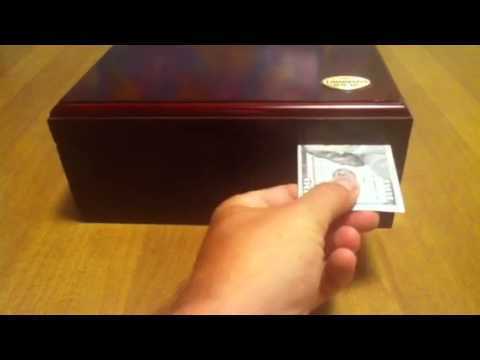 This dollar bill test works best on detecting leaks in desktop humidors. It can be a little difficult for travel humidors. Step 1: Take a dollar bill and make it as flat as possible. Step 2: Insert the dollar bill halfway into the humidor and shut the lid. Step 3: Try to pull the dollar bill out by gently pulling from the exterior. If it comes out fairly easily, then you likely have a seal problem. Step 4: Move the dollar bill on all sides of the humidor and continue trying to pull. There should be an even amount of “pull” all the way around. The places where it’s easier to pull are a sign that there is a leak in the seal. It shouldn’t be hard to get the dollar bill out by any means but the basic idea is if it’s easily slid in and out then moisture can likely slip out as well. The flashlight test is a good test to do in conjunction with the dollar bill test to diagnose a leak in a humidor. It will only work if you have a glass top humidor since you are testing for the light to reveal a crack or hole. 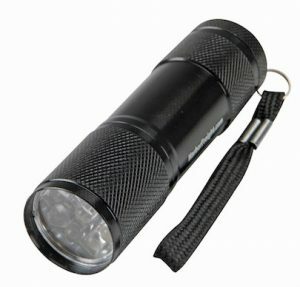 Step 1: Find a flashlight or use a cellphone with a flashlight app. Step 2: Dim the lights in the room and begin moving the flashlight around the exterior crack marking the top/bottom of the lid. Step 3: You should not be able to see any light come through the crack. If so, that is where your leak is located. Now that you’ve found the leak in your humidor, you have a couple of options. The first question you have to ask yourself, is if you can fix it yourself or if it’s worth buying a new cigar humidor? 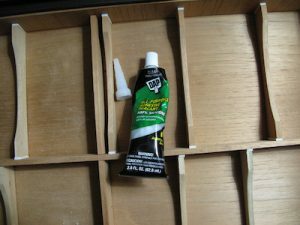 If you would like to repair your humidor, you will want to seal the crack with food grade silicone. This will take a few days to cure but will end up being odorless and safe for your cigar collection. I have tried different methods in the past and this is the absolute best. Step 1: Purchase non-toxic, odorless silicone. Step 2: Remove cigars and place them in a tupperdor or Ziploc bag with a Boveda pack for temporary storage. Step 3: Seal leak or glass top on the interior of the humidor. The exterior will likely not be as effective and you don’t want to ruin the look of your humidor. Step 4: Leave the lid open on your humidor for 3 days to allow the silicone to cure. Step 5: Place humidification and hygrometer back in humidor for 24 hours and allow humidity to reach back close to 70%. Step 6: Transfer cigars back to your leak-free humidor. This concludes our guide on how to fix a leak in your humidor. Using the dollar bill and flashlight test, you should be able to find any leaks in your humidor. If you have re-sealed your humidor and still can’t find the source of the problem, it may be time to throw in the towel and purchase a new humidor.